Every year when Christmas shopping for others, I find it hard to resist the temptation to add a little something for myself. Perhaps it’s only child syndrome, perhaps it’s just greed, but each year the ‘presents for me!’ pile gets a bit bigger. Especially when the presents for others involve books. A wander round Waterstones or an amble through Amazon pages can be absolutely catastrophic. Last week I visited Waterstones to buy books for Badger and came back with two ghostly treats that I’ve smuggled away for personal consumption. 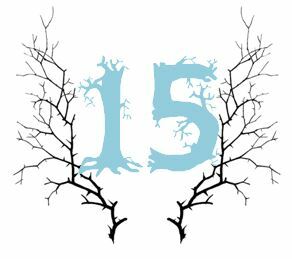 They’re behind the fifteenth window of my ghostly advent calendar, as I feel a little guilty and sharing them may help me make amends. The first book is Marcus Sedgwick’s ‘Ghosts of Heaven’ which looks to be a most promising quartet of eerie stories, spiralling through time and space. The synopsis reminds me a little of Alan Garner’s ‘Red Shift’, where characters are linked through a thousand years of Cheshire history – if it’s anything as good as ‘Red Shift’, I’m going to greatly enjoy it. My second indulgence has been Darryl Jones’ new anthology ‘Horror Stories: Classic Tales from Hoffman to Hodgson’. I read a fascinating review in The Guardian that whet my appetite for this, so I was thrilled to see it on the shelves in Taunton. It’s an old-fashioned doorstop of an anthology, a real throwback to the days of the M&S ’65 GreatTales of Terror’, edited by Mary Danby. I love a horror anthology – I’ve blogged about it before – and this one seems to bring something new to the feast; a historical perspective on supernatural fiction and how the stories that chill us are informed by the cultural fears and anxieties of the time. The twenty-nine tales in Jones’ anthology date from 1812 to 1916, a turbulent, frightening era of ever-increasing knowledge, invention and innovation. If you opened the Ghostly Advent Calendar on 1st December, you’ll remember I shared an article by Kira Cochrane about the rise of the Victorian ghost story and the economic and social factors that nurtured their popularity. In his excellent introduction, Jones states that their rise “represents a significant breach in the Victorian narrative of progressivism and modernity” in the long 19th century, and that the Victorian fascination with spiritualism was part of a reaction to the incredible pace of change. There are some unusual choices of author in the collection, which only adds to my anticipation. Algernon Blackwood (‘The Wendigo’) and J, Sheridan le Fanu (the not usually-anthologised ‘A Strange Event in the Life of Schalken the Painter’) are welcome but expected, and M.R. James (‘Count Magnus’, my favourite of all his tales) is positively compulsory. However, we also have Zola (‘The Death of Olivier Becaille’), Balzac (‘La Grande Breteche’) and Herman Melville (‘The Tartarus of Maids’), the presence of which elevate this anthology into the world of literature rather than titillating pulp for credulous Victorians. The cover too is beautiful, not like those garish old Fontana covers. It’s a gargoyle of Thomas a Becket from Toddington Manor (now owned by Damien Hirst) – stunningly photographed by Simon Marsden (the print can be bought here, should you wish for something ghoulish in your reading room). When you open the book, you realise you’re holding something special, something curated with love and respect for a tradition that is occasionally seen as a bit of a cheap thrill. The only thing I would say, as a very perceptive reviewer has noted, is that the collection’s title is a bit of a bad note – these are stories of the supernatural and gothic, not visceral tales of horror. I’m waiting for the right time to start reading both books. For form’s sake, I ought to hold back until I’ve bought all my Christmas presents, otherwise I may end up with more little gifts to myself. It’s the season for giving, but I don’t think that’s part of the deal.